Nova-111 I played on PlayStation Vita. The load times seem a bit long at the beginning, however, after that it seems to run fine except in the later levels where I'm not sure why it drops frames but you definitely notice it. I started and completed the game and I bought this when it was on sale and it was probably worth the sale price, I'm not sure about the full retail price. 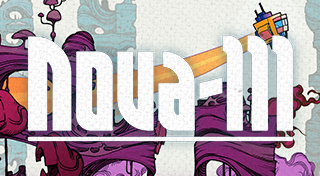 Nova-111 is a turn based strategy-puzzle game where you move and then the enemies move, similar to turn-based strategy RPGs like Final Fantasy Tactics. This will allow you to pause and think about how to defeat/avoid the enemies as needed. Things will change as you progress through the game since some of them will not follow these rules and makes it more interesting. I thought the gameplay mechanics were fun but I never felt like there was a reason to go back and collect things. The mini-tutorials that pop-up as someone talking to you works really when you are either learning a new mechanic or when you are stuck and they give you suggestions. While fun, I felt that the game world felt a bit empty. Every world was different with a few areas in each, however, I didn't have reason to enjoy things or return (even if you can return to collect missing scientists). Once I finished the game, I stopped caring. The gameplay is there but it wasn't captivating enough for me to suggest it. 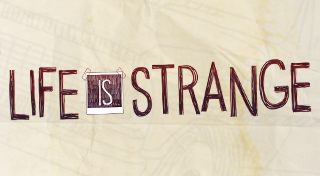 Life is Strange, played on PlayStation 4. I have finished the story and I must say, it ended off better than it started. I think that by episode 3, if you aren't into it, you can stop. It turned out to be a much better game once it was past the high school cycle of issues. The game is an adventure game where your choices now will effect how things are in the future. I thought it started off slow but in the end, it was worth it. Again, I felt that it really picked up by episode 3, but I imagine that some people would be hooked by episode 2. Episode 1 for me felt like an intro to all the mechanics and was less about the actual story itself. Easily a game that I can recommend to others and there is now a retail release due to its success which should mean that more people are able to play the game. As a bonus to trophy/achievement hunters, there are quick checkpoints that you can return to so that you can easily get what you were missing, so you don't need to worry about playing the game with a guide since you don't need to replay the entire game all over. 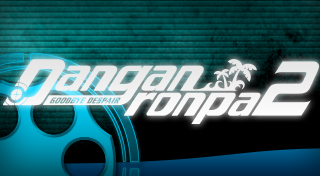 Danganronpa 2: Goodbye Despair, played on PlayStation Vita. Sequel to a very neat visual novel style game. I have only completed one trial, so I still have a bit to go, but it seems like more of the game of the last game. You are a student of Hope's Peak Academy, the most elite school that there is. Only students that are the top of their discipline are allowed here, some examples include the ultimate gymnast, ultimate chef, and ultimate photographer to give you an idea. But, after you enter the school, you forget what happens and suddenly you are trapped on an island where you have to play a game. In order to get off the island, you need to successfully to kill any other student BUT you have to get away with it. After each murder, an investigation period takes place and you need to collect clues in order to determine who might have done it and then there is a trial that takes place where you need to determine who the murderer is. If it is anything like the last game, you rinse and repeat until you get to the end. I thought the idea was really neat the first time, I'm not sure how I feel about it the second time since it is exactly the same idea as before just with a different setting and a few mechanic changes/tweaks. Based on what I've played so far, I can easily recommend the first game, and if you like more of the same, this one is a good recommendation. 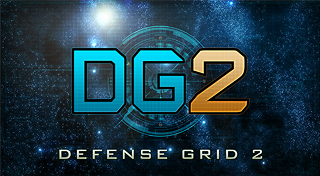 Defense Grid 2, played on PlayStation 4. I never played the first one and I got this one on sale and I thought I would give it a shot. At this time, I have completed roughly 5 missions of 20 missions (if I remember correctly). The game is tower defense, where your goal is to beat all the enemies without losing all of your cores on the level. The twist is that the enemy can make it to the end, however, it also has to make it back to the beginning of the level, so you have double the chance to beat them. The other change as well is that you can create a path for the enemies by placing your towers in their direct path. Obviously you cannot block their path completely, however you can make the path longer. The game seems fun, there is a surprising amount of story and voice acting to the game. I enjoy the voice acting, however it seems like it really isn't necessary since I don't bother to read the story (there is a page of story before each mission). It is a formula that I am familiar with, so I don't have any issues with how it works and plays mechanically. I do only play in single player and have no intention of trying multiplayer even though the option is available.